The city of Cambridge and the surrounding Fens, with their unique and sometimes sinister atmosphere, were the inspiration for my Cassandra James mysteries which feature literary historian and accidental sleuth, Cassandra James. In the days when I used to mark Tripos papers, I used to be afraid of somehow losing them or damaging them. Maybe the house would burn down! 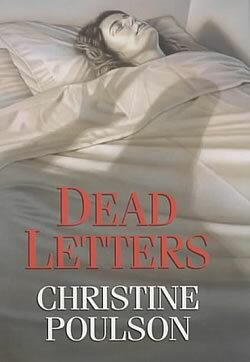 In the first chapter of Dead Letters, I confronted that fear . . . Some of the sensation novels by writers like Mrs Braddon and Mrs Henry Wood are still great reads. 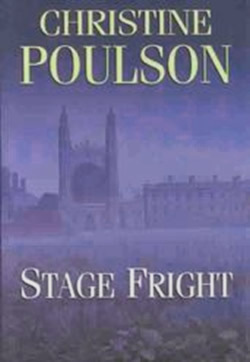 I decided I’d like to set a novel during a modern production of East Lynne, and have the events off stage mirror some of the action on stage. I have always loved libraries. 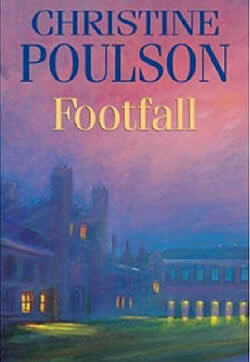 It was a pleasure to create one of my own in Footfall. Distant book stacks in parts of old libraries where no-one goes can be creepy places . . . Enjoyed Murder is Academic – with a Cassandra and a Jane in the book one assumes you are a fan of Ms. Austen. Just two questions; how did Bill Bailey get his name – Pasty Cline song or something else; is Murder is Academic the first Cass book as it is difficult to know the order with the change of titles in North America. Thanks for a excellent afternoon read on a early winter’s day in London, ON ; “as a retired person I find ‘good entertaining reads difficult to find” ! I’m going to try an seek out your book about the Arthurian legend in British Art as Arthur is such an endearing fellow and if I ever am able to get a dog she is definitely going to be called “Morgan la Fey” my favourite Arthurian character – I find evil-ish most interesting. Hope to have more of Cassandra in the future. Good to hear from you, Sheila, and lovely to think of you enjoying ‘Murder is Academic’ in London, Ontario. I AM a fan of Miss Austen. Bill Bailey got his name from the song via our beloved cat who was the model for Cassandra’s cat. Yes, Murder is Academic (in the UK, Dead Letters) was the first in the series, followed by Stage Fright, and then Footfall. Now I am writing a new series with a medical researcher as the main character.